At CrossFit St. Paul if you ask “am I doing this right?” you will get a reply of “you betcha!”. There is not “about 2 minutes left” there is “aboot 2 minutes left”, and you will most likely have some men who look like lumber jacks cleaning 285 like it’s light weight. Since I’m currently in St. Paul for the weekend, and didn’t wanna miss out on the last weekend before my Oly Comp, I decided to drop in for a WOD. The coach was friendly and welcoming when I said I was a drop in, having me quickly sign a waiver and jump in without having to pay first. 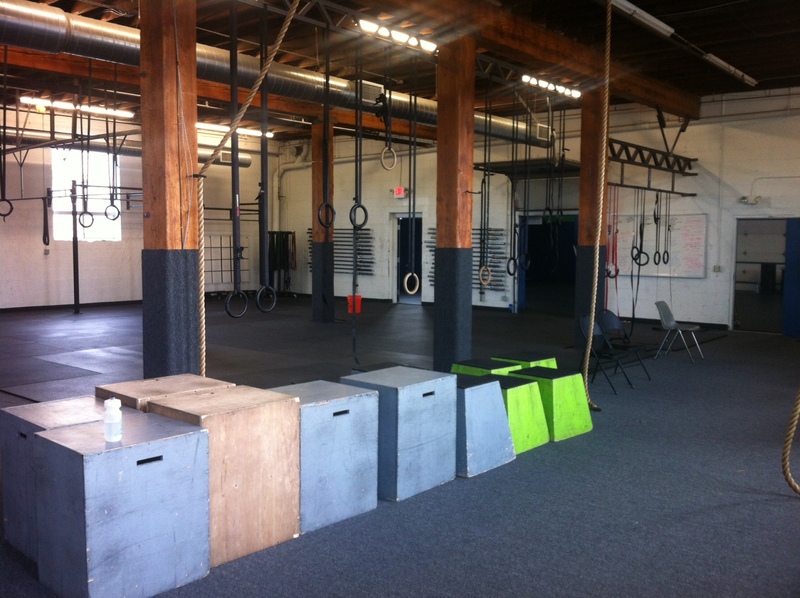 The gym is affiliated with two other gyms in Minnesota, CrossFit Minneapolis and CrossFit St. Louis Park. They all have the same WODS every day and (I think) have events together. 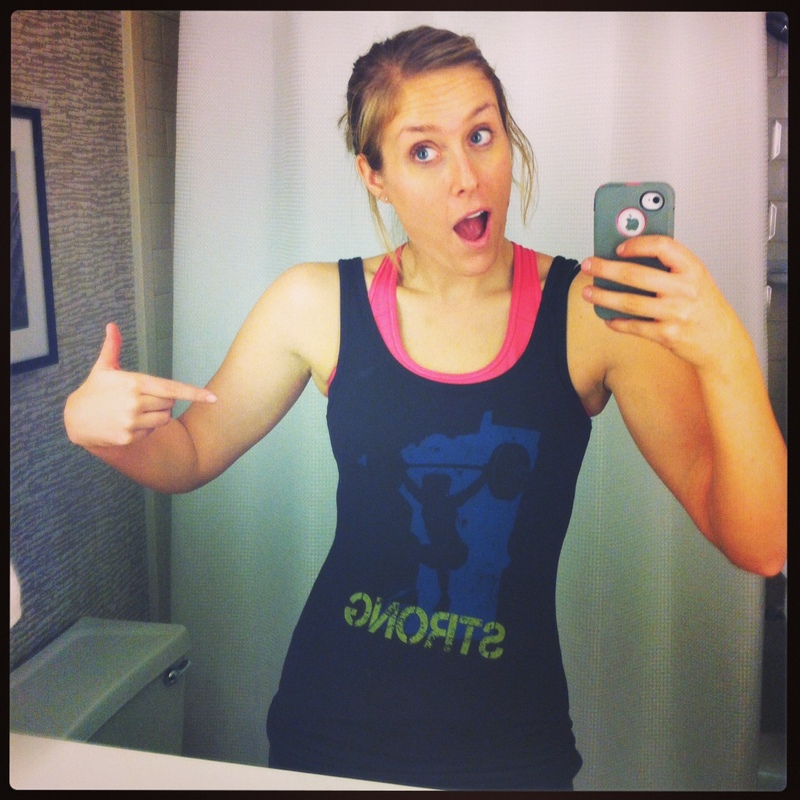 I got a CF St. Paul shirt with a female, overhead squatting and it says “Strong”. I’m a fan. The box itself was a lot smaller than what I was used to, and currently under renovation, but had everything I could need from rings to kettle bells to bands to slam balls to the obvious barbells. The workout started with a bear complex (clean, front squat, shoulder press, back squat, jerk, all in a row, then repeat that 7 times). It was followed by 5 rounds of power clean –> 2 hand cleans –> 2 jerks. I did these with 105-110lbs. They felt relatively light, which made me hopeful of reaching 120lbs this Saturday at the Oly Competition. We followed that with a 10 minute EMOM (every minute, on the minute) of a back squat at 90%. I am not good at squatting, so my squat was only 135lbs. 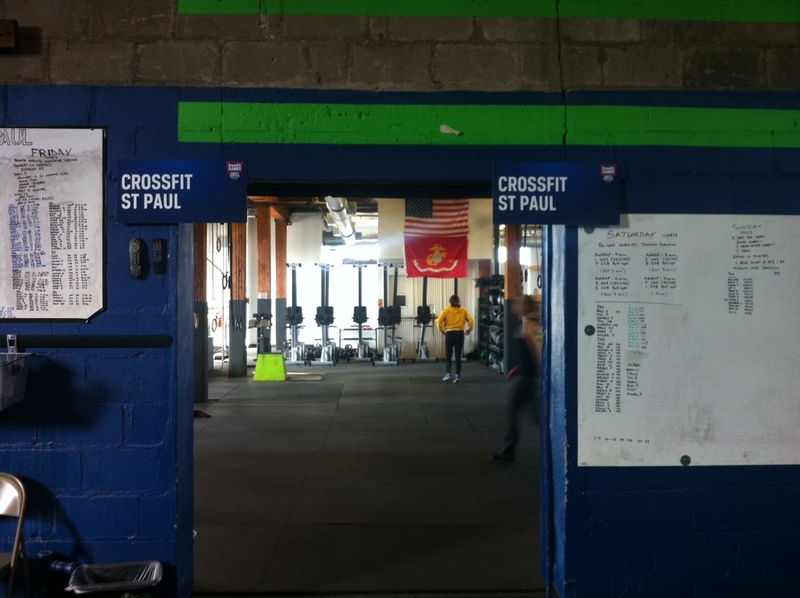 The CrossFit St. Paul coach was very amused that it was only 15 lbs heavier than my clean. I don’t get it either, lumberjack Coach! There happened to be an open gym afterwards, so I stayed around. My coach from Colorado had sent me a WOD to do, with some snatches, overhead squats, kettle bell swings and burpees. It reminded me how Sanitas WODS always seem more to involve more cardio than any other CF Box I have been to. I was winded after and ready for some brunch. There were a lot of people who showed up for the open gym. A lot of people with the “ATHLETE” shirts on, signifying their participation in the games. Seeing as how CrossFit St. Paul got an award for most involved (or something along those lines, can’t remember exactly) from last year’s games, I thought that made pretty good sense. Overall, it was a friendly atmosphere, smaller but with sufficient space to move around, a nice coach (might have benefited from a little more in motion instruction), mixed clientele and good hours. AND they played my current favorite song. So that gained them some points. In case you haven’t heard it, it’s below. Hope you are all having a great Sunday! This entry was posted in Uncategorized and tagged CrossFit, diet, Fitness, Healthy, minnesota, olympic lifting, st. paul by fionaboger. Bookmark the permalink.